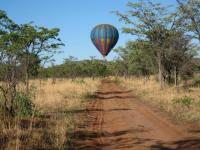 In 2010, a private initiative was started by Zargodox (Pty) Ltd to promote tourism in this area. They purchased the old cableway, and in cooperation with Swiss company Rowema AG, Zargodox they rejuvenated the old cableway and brought new life to the area. This Cableway opened its doors officially during July 2012, and has now become a unique South African aerial cableway experience with beautiful views to behold, and nature to be enjoyed. There is also a restaurant on top of the mountain, and the one at the bottom of the cableway. We would like to offer you the opportunity to visit this site and enjoy the experience of viewing the beautiful nature that surrounds the area from the top of the mountain. Liliesleaf Farm acted as a HeadQuarters for the main members of the ANC Leaders who were arrested by the South African Police after a tip-off. What happened at Liliesleaf Farm? At the farm, they held key debates on political and military policy and strategy. It was at Liliesleaf farm that the most prominent leaders of South Africa’s struggle against Apartheid sought shelter, and attended meetings. Some of these included Nelson Mandela, Govan Mbeki, Walter Sisulu, Ahmed Kathrada, Bram Fischer, Joe Slovo, Ruth First, Raymond Mhaba, Rusty Bernstein, Bob Hepple, Harold Wolpe, and Denis Goldberg. Many of these individuals were discovered in the police’s raid on Liliesleaf farm, and tried in the subsequent Rivonia Treason Trial. They were to later spend over 25 years in prison. the subsequent trial, which became known to the world as the Rivonia Trial, finally focused world scrutiny on South Africa and its oppressive regime. Situated along the Highlands Route, a stone's throw from the Golden Gate Highlands National Park, Clarens is blessed with soul-stirring views. The Golden Gate gets its name from the shades of gold and ochre cast by the sun on the sandstone cliffs for which the region is famous. Many of the homes, restaurants and shops in Clarens were crafted from sandstone, contributing to the town's appeal. Make a point of popping into the local arts and crafts stores. Ask about the Artists Amble, a fun route that incorporates a number of galleries run by local artists. If you're in the mood for shopping, make a point of addling the colourful traditional Basotho blankets, arts and crafts to your list. Ask any of the stores for a copy of the local community magazine, 'The Speckled Bean', which has loads of information on activities in Clarens, as well as insights into various social and community projects in the area. Clarens offers a fleet of attractions and is an adventure tourism hotspot, with quad biking, paintball, abseiling and white water rafting all available nearby. So plan a trip to Clarens now and find out for yourself why is called The Jewel of the Free State. The Bushbabies Monkey sanctuary houses primates, such as our squirrel, spider and capuchin monkeys, who are given a new lease on life at this sanctuary. They were all previously raised as household pets, or bred for the pet trade, and were introduced to a wild world laden with waterfalls, lush vegetation and natural mountain springs. Here they have a chance to reside in as natural and wild environment as possible. The tours are highly informative and and they strive to create awareness toward the benefit of releasing primates into sanctuaries such as these. The Elephant Sanctuary, started in 1999, grew from five elephants to a total of twelve African Elephants who have been domesticated through positive reinforcement and provide the unique opportunity to interact with them. Visitors go on a journey into the world of the African elephant and are guided through an unforgettable experience with these magnificent creatures, by touching, feeding and getting to know these animals. The Elephant Sanctuary offers experiences and tours on a daily basis.